The Pool Facility at Campers Hideaway was constructed in 1975. As a Member, you have access to one of the best indoor pools in Southwest Washington. Please remember: There is not a Lifeguard on duty. Parents, please be sure to observe your children at all times. Children Under the Age of 14 must be accompanied by a responsible adult of 18 years or older when using the pool. You must take a shower prior to using the pool or spa and also if you are entering the pool after using the sauna or spa. No food, Drinks of any kind, gum, or smoking allowed in the facility. Persons with a communicable disease or those who have been ill with diarrhea or vomiting within the last 2 weeks should NOT use the facilities. Anyone under the influence of alcohol or drugs will be denied use of the facilities. No diapers allowed in the pool. This includes "Little Swimmers". Children who are not potty trained must wear a LMCH approved swim diaper. For your convienience, these are available for purchase at the pool. The pool temperature is kept between 85 - 87 degrees F.
You may only stay in the spa or sauna for a maximum time of 15 minutes per session. The Maximum occupancy of the spa is 12 people. 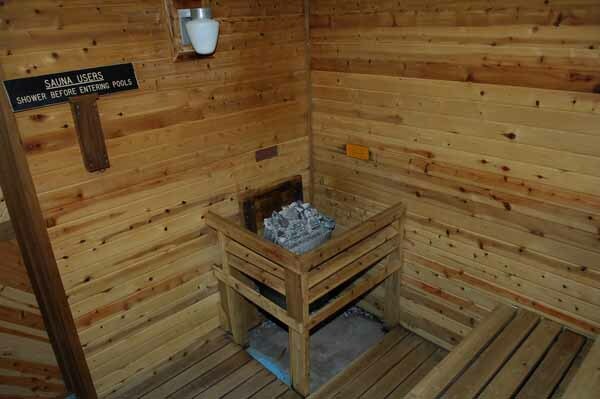 The spa temperature is kept between 102 - 103.5 degrees F.
The Sauna temperature is approximately 170 degrees F.
Women who are 6 months or further into their pregnancy are not allowed to use the spa. If you think you may be in the earlier stages of pregnancy, Please contact your physician prior to using the spa. 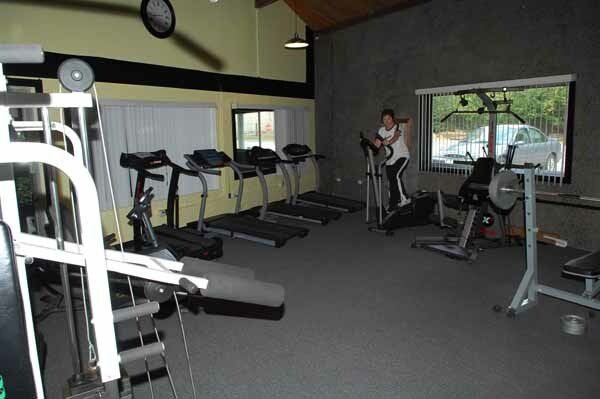 There is a full service workout facility with equipment such as treadmills, multipurpose machines and free weights. The facility is available for use to members and their dependants. You must sign a waiver for membership at the office. You must be 18 years or older to utilize the Workout room. Access to the workout room is not included in your admission to the pool. There is a small annual fee for the Workout Room Membership. Pool hours may be subject to change without notice. You must be 18 years or older to attend the Adult swim sessions. There are no exceptions. Open Wednesday through Monday. The pool is closed on Tuesdays for cleaning. All fees can be charged to your account or paid with cash at the pool desk.